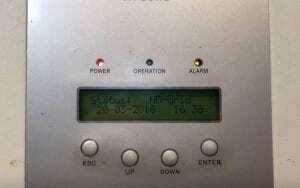 Do you have a Ginlong Solar Inverter with a No Grid Message on the screen? 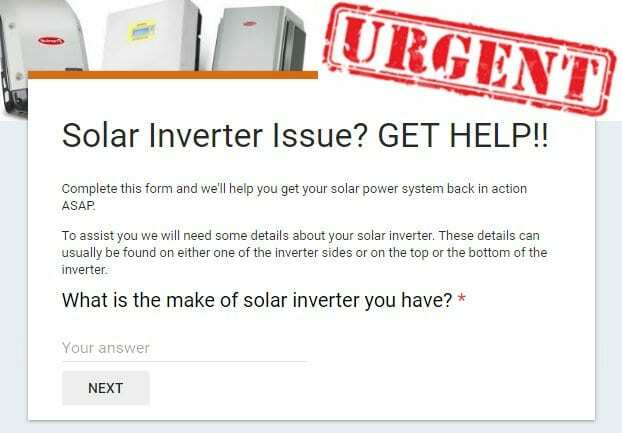 If so your solar power system isn’t producing any power so don’t ignore it – it’s costing you money! If the “Operation” light isn’t on, then the inverter isn’t working. If you click through the menu you’ll see the inverter is producing 0 Watts – Zippo. Zilch. Nadda. Ginlong No Grid Error Message? Check This. The AC plug into the inverter is in place and not damaged. Make sure the solar supply main switch in the switchboard is turned ON. If your inverter is not beside your switchboard you may have an AC isolator beside the inverter. make sure this is ON as well. Make sure you actually have power from the street, there isn’t a blackout is there? If you’ve checked the above and your solar power systems working again then great! If however you’re still seeing the No Grid message then the best thing to do is contact a solar accredited electrician for further assistance. You’ve eliminated the basic potential causes but looks like you’ll need a bit more expertise to get to the root of the problem. If you are in South East QLD somewhere near the Gold Coast or Brisbane area we can certainly help get your solar power system back in action ASAP. For further assistance please complete the form above under the URGENT heading so we can help you further.